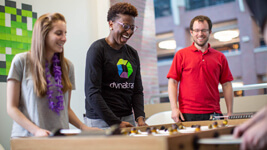 Boston, MA — September 17, 2015 — Digital Performance software company Dynatrace, today announced the launch of its Digital Game Changer Recognition Program. This new program will honor Dynatrace customers who are driving their company transformation through the use of application performance management (APM) and digital performance management. The first honorees will be recognized at the Dynatrace PERFORM Global User Conference on October 16, 2015 in Orlando, Florida. Cloud and mobile are transforming business, driving APM into a new performance paradigm — digital performance management. 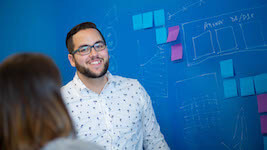 Dynatrace is seeking performance leaders with the vision, commitment to excellence and passion for performance innovation to join the new leadership community shaping the future of our industry. 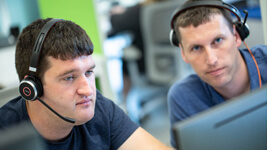 Do you or someone you know have the mind-blowing APM skills that fit the bill? An amazing professional who isn’t just fulfilling expectations, but taking APM to the next level to digital performance management — in other words, changing the game? Nominate a Dynatrace expert today: North American nominations can be submitted here, and International nominations (EMEA, APAC, and LATAM) can be submitted here. The nomination deadline is October 1, 2015. “Every day, we work with performance visionaries who are driving their organization’s shift to cloud and mobile. 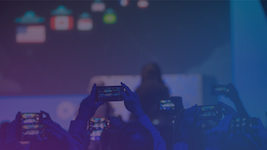 We created this program to recognize these digital game changers, bring them into the spotlight and give them a platform from which to share their leadership,” said Nicolas Robbe, Chief Marketing Officer at Dynatrace. Digital Game Changers (mentors): Experts that have proven their mettle in the field, winning hard fought battles to transform their organization through DevOps, cloud and mobile. Game changers are seasoned experts, transforming tomorrow’s application performance landscape. Rising Stars: Passionate innovators who have shown a commitment to raising the bar and changing the game from day one. These digital natives are still early in their career and are poised to achieve great things. 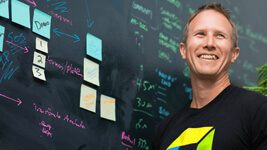 They’re building success by defining what’s possible in the digital performance arena. The Digital Game Changer program is open to all Dynatrace customers, including those who are using Keynote and Ruxit solutions. Dynatrace provides software intelligence to simplify enterprise cloud complexity and accelerate digital transformation. With AI and complete automation, our all-in-one platform provides answers, not just data, about the performance of applications, the underlying infrastructure and the experience of all users. That’s why many of the world’s largest enterprises trust Dynatrace to modernize and automate enterprise cloud operations, release better software faster, and deliver unrivalled digital experiences. Curious to see how you can simplify your enterprise cloud? Let us show you. Visit our trial page for a free 15-day Dynatrace trial. 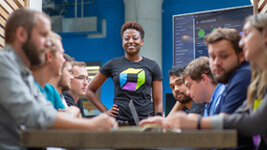 To learn more about how Dynatrace can help your business, visit www.dynatrace.com, visit our blog and follow us on Twitter @dynatrace.